يضمن فندق YHA Franz Josef الذي رمم في 2002 لزائريه قضاء وقت ممتع في هذه المدينة الخلابة سواء جاؤوا في رحلة عمل أو سياحة. يقع الفندق على بعد 0 km من مركز المدينة، ويؤمن الوصول إلى أهم مراكز المدينة. يوفر العقار بفضل موقعة الجيد وصولاً سهلاً إلى أهم معالم المدينة.
. إن الخدمات التي يقدمها YHA Franz Josef تضمن للنزلاء إقامة مريحة. يقدم هذا الفندق العديد من الخدمات الكفيلة بإرضاء أكثر الضيوف تطلباً. تنعكس أجواء YHA Franz Josef في غرف الضيوف.كاشف دخان, اتصال لاسلكي بالإنترنت, غرف لغير المدخنين, تدفئة, ساعة منبه هي بعض الميزات الموجود في العديد من الغرف. صممت خدمات الاستجمام في الفندق والتي تتضمن ساونا, حديقة لمساعدتك على الاسترخاء والراحة. يحظى فندق YHA Franz Josef بموقع ممتاز وخدمات يصعب منافستها. Great place for a 1 night stay. Facilities are great and there are lockers in some rooms. Only issue was that more people than beds were assigned to the room. This got solved with me being upgraded to another room. I recommend. I’m sure it’s about the same quality as others in the area, but I enjoyed my stay. It’s very easy to find, and the InterCity bus stops right in front of it. Check in is open until 9pm and they’re really nice. The place is surprisingly big, so don’t get lost. There’s a huge kitchen and shared area with everything you could need to prepare and eat dinner. A TV room with DVDs. Shower rooms and bathrooms. Laundry ($4) and a sauna that was unfortunately out of order during my stay. It’s not a resort but it’s cheap, well managed, and well located. I’d recommend it! For basic one room, two people lodging it was satisfactory. Fortunately the floor was quiet because the walls are paper thin. Kitchen was big and functional. Would stay again and would recommend. 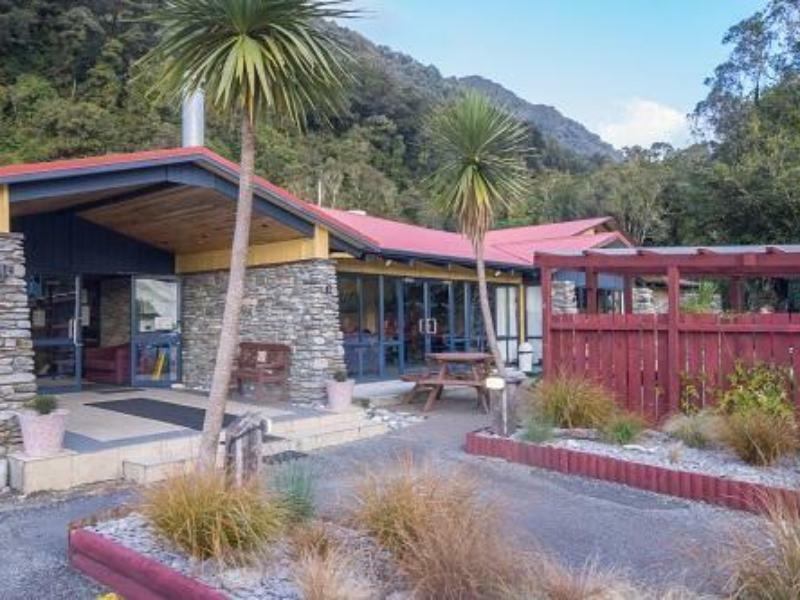 If you plan to go to Franz Josef Glacier, YHA might be your first choice. You can meet great people there, and cooking your own food, sharing with others. The staff is nice but the reception is closed is a bit early, do not be late. 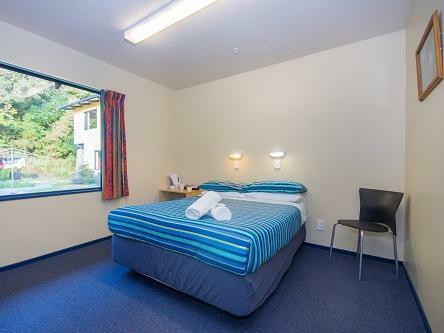 This hostel is very clean, just that the wall proof is not very good. But, everything else is great. We like the kitchen facilities and dining area, with all facilities given with good care. 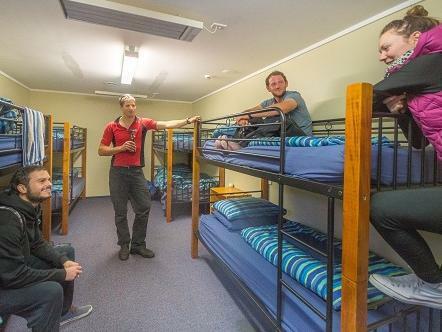 Don't expect too much for a hostel, but this hostel definitely deserve a good rating ! I was particular surprised by the cleanliness of the shared toilet. I would usually not walk barefooted in a toilet but the ladies' here was so clean I did (out of lack of slippers). The walls were quiet well insulated, we had a peaceful night. The kitchen, dining and living area were all together and pretty spacious and look like a great place to hang out even for families. Even though it was a short one night we spent here, it was more pleasant than I had expected. As with the other YHAs, the staff was always great in answering all our questions. This hostel is situated all the way in the corner of the town but it was a short five minutes walk to all other places(supermarket, food etc) and the tours building. The shared kitchen and bathroom are well equipped. Since there are lots of young people live here, it’s very noisy during late night. As title, perfect accommodation for low-budget travelers. All you need to worry is terrible snoring roommate. The hostel is very clean and provide a lot of kitchenware. The only inconvenient thing is it has only one rest room for multiple room. first time staying at backpackers and it was really nice place. clean and big space. near to restaurants. will be good if the toilet and common area have heater during winter. Really nothing more you could want. Clean, great facilities and a great location. Good facilities and helpful staff. Used the pool table, watched some movies, played some piano and guitar. Room was clean and good size. 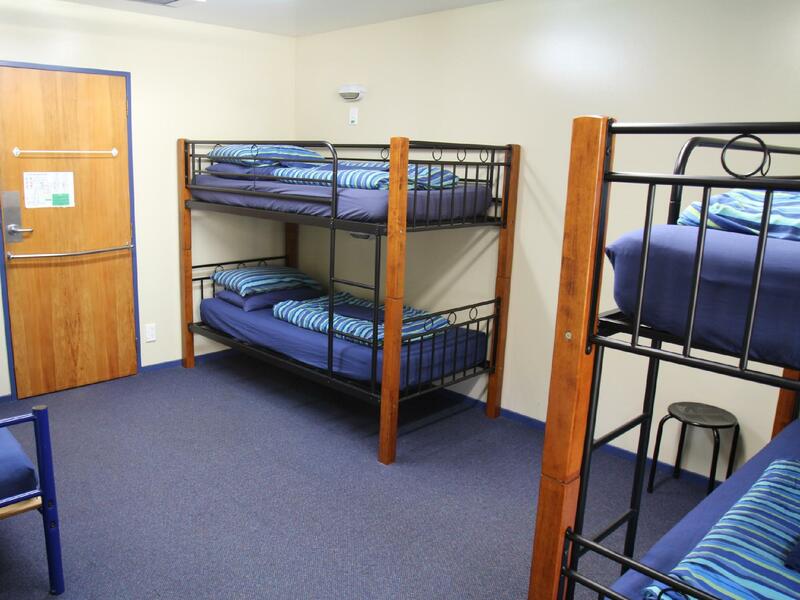 Kitchen facilities - roomy and multiple working spaces for busy hostel. Only criticisms include that the BBQ needs fixing and drying room wasn't working well. 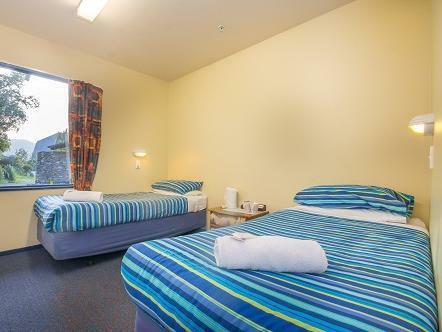 Twin room was clean and tidy with a good heater. Beds were comfortable. Shower and bathroom facilities were clean. Staff were pleasant and friendly. Kitchen, dining, etc. facilities were very good. Easy 1 minute walk to shops etc. Felt very impersonal because the layout was boxed and like a maze. Room seemed dusty as I sneezed a lot. Not much to do in the town so definitely only needed one night. No bedside light or power points. There was only one powerpoint in the room (besides those useless lockers with points on the inside), which was extremely annoying - common problem with YHAs in NZ. Just install points near the bed and provide a holder to place your phone during the night. So impractical to have the points in a locker. we had booked a 5 beds mixed dorm for 5 persons but they didn't give us the 5 beds dorm. Instead they separated us into 2 different dorms with 2 persons in a 4 beds dorm & another 3 of us in another 4 beds dorm by giving us reason that a group of tour had already checked in all the 5 beds dorm. I was disappointed with their arrangements. Clean, nicely organised, like a short 2 minute walk to restaurants and supermarket, huge kitchen area and eating area. The bedrooms were nice with heat! Extra blankets if needed which was nice as it's cold. Staff had no idea about the booking even though there had being constant communication. Staff member then tried to charge an extra $140 which had already being paid. Payment was made in full before keys were handed over. Then in the morning the morning staff asked for proof that we had paid as the night staff made no record.